Waltons Irish Music Books). 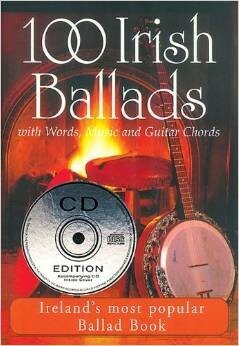 100 of the best-loved Irish songs and ballads are presented in this collection of lyrics, music and guitar chords. Includes a CD with the first verse and chorus of the songs from the book. 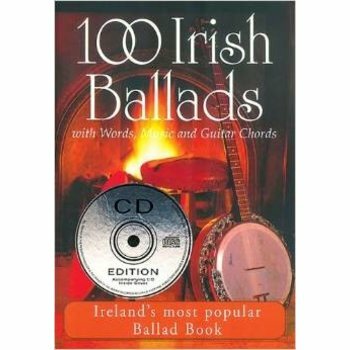 Volume 1 includes: A Bunch of Thyme * Butcher Boy * I Know My Love * Waxies Dargle * A Nation Once Again * The Black Velvet Band * I'm a Rover * Slievenamon * Wild Colonial Boy * Kelly of Killane * Easy and Slow * The Rising of the Moon * The Last Rose of Summer * The Rose of Tralee * I Know Where I'm Going * Lannigan's Ball * and more.